Opps, we're a little late with our montly Newsletter! :-) But here we are again. 3) More details in your profile! Recently we added support to some interesting Social media. WeHeartIt (weheartit.com) - Give your heart to everything you like! We Heart is "A home for your inspiration" and a place to "Organize and share the things you love". If you don't know it, you should. Wordpress.com. The popular blog hosting where everybody can create a personal blog. Soundcloud. It's more than an App, it's a community where you can listen and share music. Register your Souncdloud's profile in your Persoanl Wall! We start supporting new information in your profile. 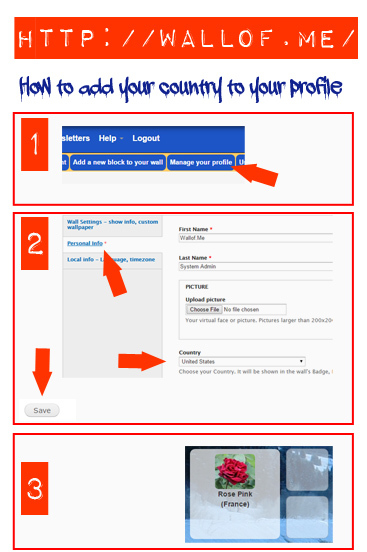 For now we ask you to customize your "Personal info" adding your Country. In the near future, we will provide new ways to search and find Personal Walls here in http://wallof.me/ - for example, you will be able to find all Walls from your same country! If you still didn't customized your Wall, we strongly suggest you to do it now. Empty Walls are unuseful, and will be removed from the service in the very next future. 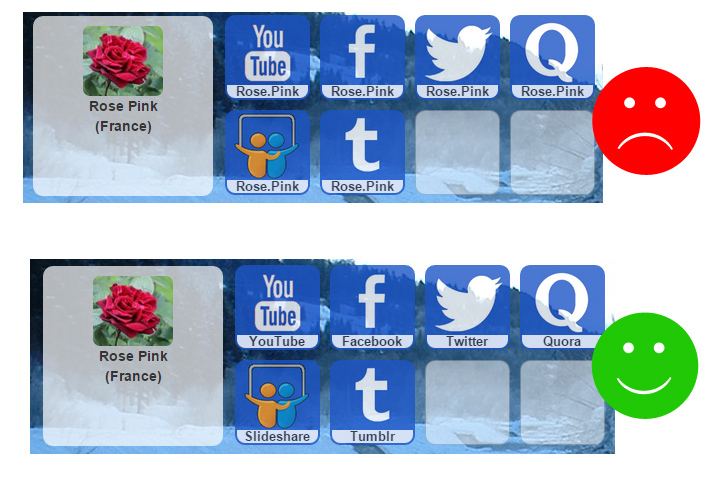 Customize your wall is easy: 1) login, 2) click on any empty block 3) fill the simple form with your social's links. Use a proper "label". Each block of your Wall comes with an optional "Short name". This is a label and will be overwritten upon your block. Use it properly: it should be short and helpful. Look this little example.